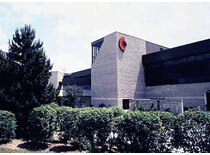 Centennial has four campuses all located in the central and eastern parts of Toronto. At Centennial you'll find people dedicated to helping you succeed, have fun and access the best future you imagine for yourself. Centennial's full-time and continuing education programs are designed specifically to help you succeed in today's job market. They're developed with the help of industry leaders and taught by faculty who have been in the trenches. Whether you need a quick weekend refresher or are gunning for a multi-year diploma, we provide the training and guidance to set you on your way to a better job. Ashtonbee Campus is home to the School of Transportation - the largest automotive and aircraft technology training centre in Canada. More than million worth of aircraft, vehicles and equipment can be found here, including a hangar with functional airplanes and helicopters. General Motors, Ford, Toyota, Honda, Mack Truck and Canadian Tire all have training labs on campus for their apprentices. 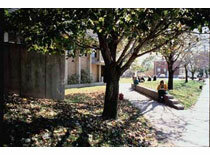 Some access programs, such as General Arts and Science, are also located here. 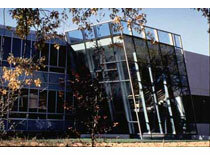 The Centre for Creative Communications opened in the fall of 1994 as a renovated campus dedicated to digital media. It represents a -million investment of public- and private-sector funds, teaching full-time programs in Communication Arts and part-time courses in everything from Computer Animation to the World Wide Web. Transit: From Broadview subway station, take the Mortimer 62 bus right to the campus (at Carlaw and Mortimer). Otherwise, it's a 10-minute walk north from the Pape subway station. Progress Campus is Centennial's largest location and home to the School of Business and the School of Engineering Technology. Progress also features the DEL Gym, a full-size professional gymnasium which hosts a number of championships each year. 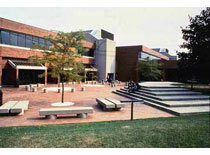 Centennial's Student Centre is wholly-funded through student fees and, with a combination of study spaces (24-hour open-access computer lab and meeting rooms) and leisure areas (student lounge, food court and special events space), this versatile building provides a focus for student life and learning. Transit: There are two routes you can take. From the Warden subway station, take the Markham 134C bus right into the campus. Warden Woods is the site of Centennial's first campus - not only for Centennial but for the entire Ontario community college system - which opened in October, 1966. Today, it is home to their Health/Nutrition, Hospitality, Child Studies and Community Services programs. The Hospitality Management Centre is a fully-equipped food service teaching laboratory added to the campus in 1985. Transit: From the Warden subway station, take the Warden South 69 (via Warden) or the Gerrard 135 bus.